Are you aware that in Arizona landlords and renters are entitled to certain rights? Arizona real estate law grants rights to renters and landlords, covering issues such as lease agreements, security deposits, and landlord/tenant obligations. Here is a brief summary of the rights of landlords and tenants in Arizona. Learn more about the rights you have as an Arizona tenant or landlord. Security deposits: Landlords may not charge more than 1.5 months’ rent as a security deposit. Moving in: tenants have a right to receive the name and address of the property manager upon commencement of the lease. A tenant is also entitled to a move-in inspection form for specifying any problems with the unit. Refunding security deposits: Upon termination of the tenancy, delivery of possession, and demand by a tenant, a landlord has a certain amount of time to provide a refund of the security deposit, or a partial refund with an itemized list of any deductions. If a landlord fails to do so, the landlord can be liable for the amount due plus two times the amount wrongfully withheld. Access: Except in case of emergency or impracticability or where a tenant has made a service request, a landlord must provide a tenant two days’ notice of the landlord’s intent to enter the property, and a landlord may enter only at reasonable times. Unit maintenance: Landlords have certain obligations relating to the property, including keeping common areas clean and safe and providing running water, hot water, reasonable heating, and reasonable cooling as required by seasonal weather conditions. Retaliation prohibited: Landlords may not retaliate against tenants by raising rent or threatening or initiating eviction proceedings after a tenant, among other things, complains about code violations or complains about lease or statutory violations. Rent and fees: A tenant cannot withhold rent for any reason not authorized by the Act. A landlord has the right to collect all charges delineated in the contract if the renter violates the lease or statute. Partial payments: Landlords are not required to accept partial payments of rent or other charges. Tenant maintenance: Tenants have certain statutory obligations, including keeping their part of the premises clean and safe and using electrical, plumbing, heating, and air-conditioning only in a reasonable manner. Additionally, a tenant cannot deliberately or negligently destroy, damage, or remove any part of the premises or knowingly permit another person to do so. Renters and landlords enjoy protections under the Arizona Residential Landlord and Tenant Act. If you are suffering from a breach of lease or violation of the Act, Denton Peterson PC can help. 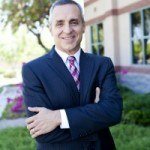 Contact us today and meet with one of our experienced Mesa real estate lawyers.